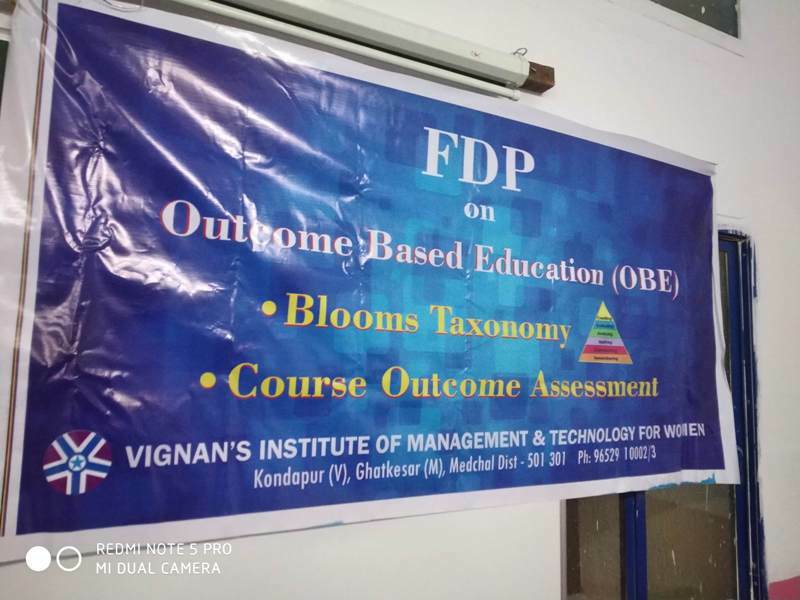 Faculty Development Program on Outcome Based Education was organized by the College at regular intervals. All the Faculty Members participated in the FDP including senior and junior faculty from all the departments. 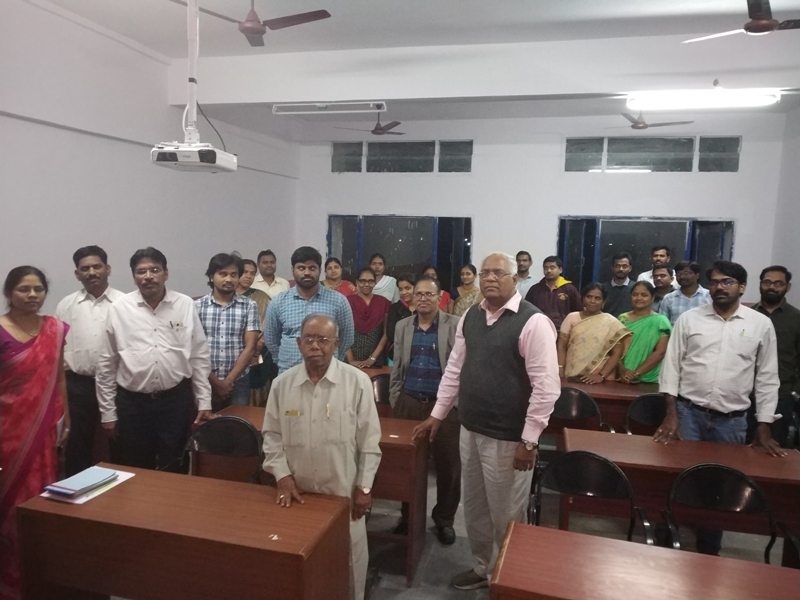 It was a pleasure to listen to DrK.KishanRao, Retired Principal, NIT, Warangal elaborate on the significance of Faculty information and contributions in OBE. In another session, Prof. Somayajulu explained the significance of Faculty contributions in Outcome Based Education. 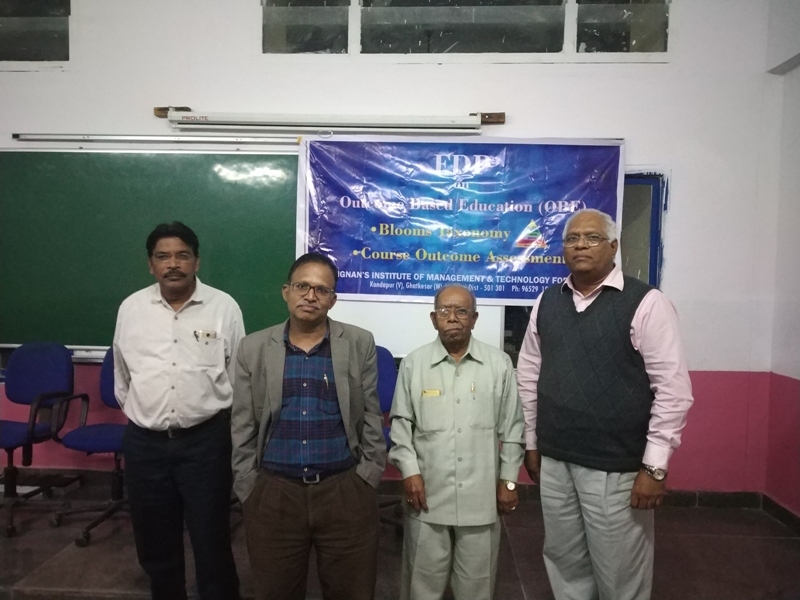 Prof. NVS NarasimhaSarma ECE department of NIT spoke on OBE evaluation of attainment of CO’s and PO’s and how each one is correlated.